Rest assured when you use autoscreens that our technicians are highly trained and experienced, experts in the fitment of windscreens, side door glasses, heated rear screens and windscreen chip repairs and our glass is of the highest quality and exceeds the vehicle manufactures specifications. 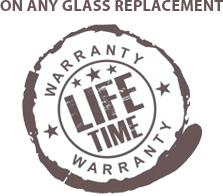 Remember, we put our name and reputation to every windscreen fitting, that’s why we give you as standard a ‘Lifetime Warranty’. All modern vehicles are fitted with directly glazed windscreen, rear screebs and side panel glass. This basically means that your windscreen is bonded to the body aperture of your vehicle. The importance of a correctly installed of windscreen is crucial to the overall structural strength of your vehicle ensuring your personal safety whilst driving. If in the event of an accident you can rely on a professionally fitted windscreen to keep you and your passengers safe. We hope this explains the safety aspects relating to a windscreen installation and why it keeps you safe. For this reason, your windscreen must be installed by fully trained and experienced technician, this we provide as standard.